If you are looking for a fast, reliable and energy efficient dehumidifier than the SDH30 may be your answer. It can remove up to 30 litres of moisture a day. It’s a portable unit yet solid built for use in a number of different applications such as drying out rooms during building & renovation work, or in special circumstances such as flooding. There is no quicker, surer or more economical way to remove moisture content without risk of damage. The SDH30 is a high quality machine that fills fit your needs. 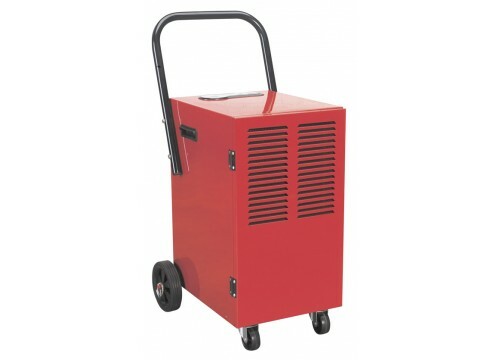 Powerful dehumidification capacity, extracts up to 30 litres of water per day. Washable activated carbon air filter. Refrigerant is environmentally friendly R407C. Mounted on castors for manoeuvrability.